Spring in England is an exciting time. 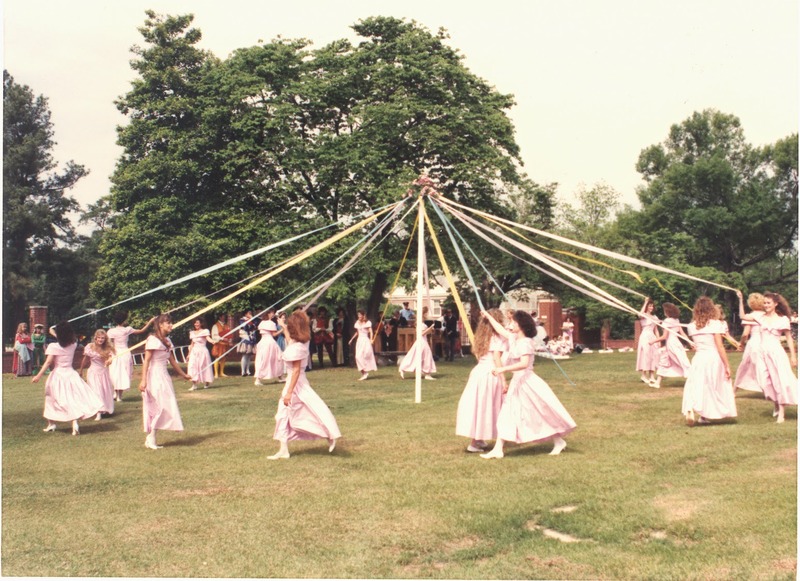 Winter is long and hard so we like to do many things to celebrate the warmer weather.Here are some English Spring traditions you might find interesting. 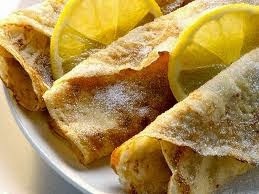 Pancake day is 47 days before Easter Sunday, this year it was on the 4th of March. On Pancake day we make a big stack of pancakes and sprinkle them in fresh lemon juice and sugar.As you can see, English pancakes are much thinner than American ones which makes them a little crispy at the edges. Of course we celebrate Easter. It celebrates the Spring equinox. The name Easter comes from the pagan goddess of spring Eostre, her symbol was the rabbit which is why we also have Easter bunnies! 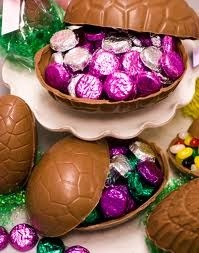 We like to eat chocolate Easter eggs and hide them in the garden for children to find. In villages all round England we errect large poles. Brightly coloured ribbons are attached to the top and children dance around it making a very pretty pattern as they wrap the ribbon round the pole. The children wear very pretty clothes. 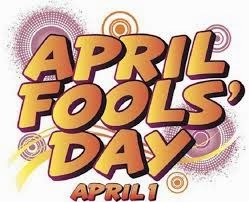 April Fools Day is on April the 1st. On this day people in England play jokes on each other. These jokes are not very dangerous but always funny for example, putting sugar in the salt pot. Every year English newspapers will publish one false news article, for example "Drinkable wine found on the Titanic!" Its Mike. This past weekend I rode my dirt bike in Asa, near Ube. A dirt bike is an off road motorcycle that you can ride anywhere. It rained in the morning so I was very cold. Riding in the rain is very hard. It stopped raining when I arrived in Asa. Have you ever rode a dirt bike before? My friend and I rode our dirt bikes in the mountains for 4 hours. My friend is very good but I am a beginner so I fell many times. I made a video about my dirt bike riding last weekend. I hope you enjoy.